AMES, Iowa -- Undergraduate and graduate students from 15 land-grant universities competed for $15,000 in cash awards at a new program developed by Iowa State University’s Agricultural Entrepreneurship Initiative and sponsored by Stine Seed Company and Summit Group. The Agricultural Business Plan Competition provided students a platform to develop and share their ag-related entrepreneurial business ideas. It also allowed participants the opportunity to learn written and oral presentation skills, build their entrepreneurial network and create feasible businesses. The Agricultural Business Plan Competition was open to students at the following institutions: Iowa State University, Colorado State University, Illinois State University, University of Illinois, Kansas State University, Michigan State University, University of Missouri, Oklahoma State University, Purdue University, South Dakota State University, The Ohio State University, University of Minnesota, University of Nebraska-Lincoln, University of Wisconsin-Madison or University of Wisconsin-Platteville. The Agricultural Entrepreneurship Initiative at Iowa State University was established in 2005. The initiative works to broaden understanding of entrepreneurship among faculty and students of the College of Agriculture and Life Sciences at Iowa State University by providing educational experiences to develop students' entrepreneurial skills and increase interaction among students, faculty and agricultural entrepreneurs. As the nation’s largest independent seed company, Stine Seed Farm, Inc., headquartered near Adel, Iowa, is focused on developing and marketing the world's best-performing corn and soybean seed through its retail arm, Stine Seed Company. Stine Seed Farm, Inc., operates the industry's largest corn and soybean breeding and development program, advancing and testing nearly 1 million unique soybean varieties and more than 100,000 preliminary corn hybrids annually. Summit Group is based in Alden, Iowa, and under the leadership of CEO Bruce Rastetter, oversees a diverse number of successful operations, ranging from crop and livestock production to wind energy, renewable fuels and international development. Rastetter is the president of the Iowa Board of Regents and serves on the board of directors for Hawkeye Energy Holdings, Advanced Bioenergy and Iowa Premium Beef. 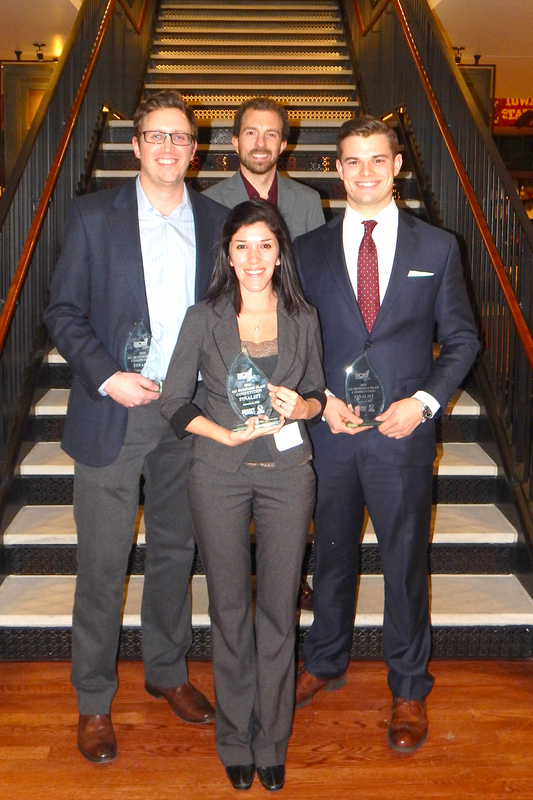 Competition Winners: back – Aaron Sebesta, Colorado State University; middle (left to right) – Eric Byington, Colorado State University; Peter LaMair, Iowa State University; front – Alejandra Feliciano-Rivera, Iowa State University.